You can take this Weekly Photo Challenge of Beyond in many different directions: from a beautiful photograph of a cityscape where you can see for miles into the great beyond to a playful shot using shallow depth of field with an image in focus and then another one blurred beyond. But this photograph that I edited in Color Efex Pro 4 yesterday came to mind for this challenge. 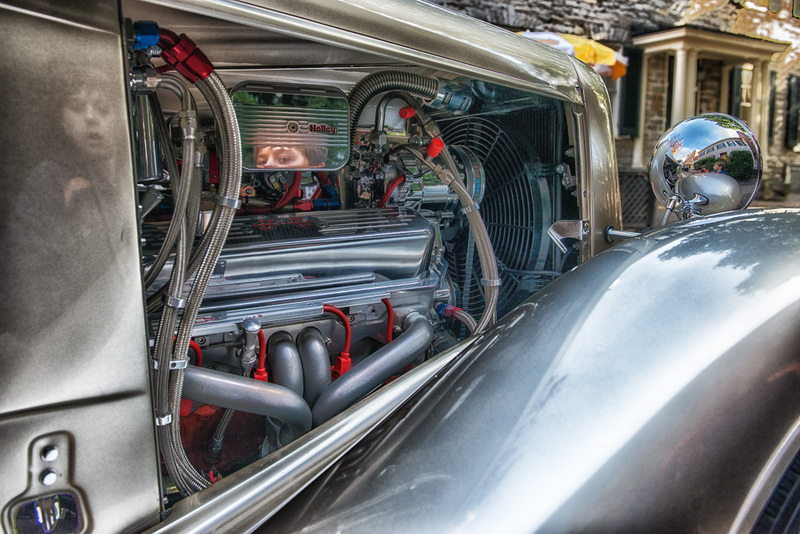 When I took this photo, I could see Cam’s eyes reflected in the engine block and it seemed kind of cool. But then, as I played with the filters, I discovered two more images of Cam. His profile is also reflected in the headlamp on the right side, and then using the Detail Extractor, Cam popped out of the side panel as well. Sometimes when you look beyond your immediate intent in taking a photograph you’ll find surprises await, and that’s one of the reasons I find such joy in the art of photography. Terrific! I love your perspective on this challenge. A good lesson for day to day living. Thanks, Patti! I’m glad you enjoyed a bit of a different thought on beyond…it was fun to think outside the box. Ahha!!! Great shot! Love the reflection! Thank you! It was fun to discover them, for sure!